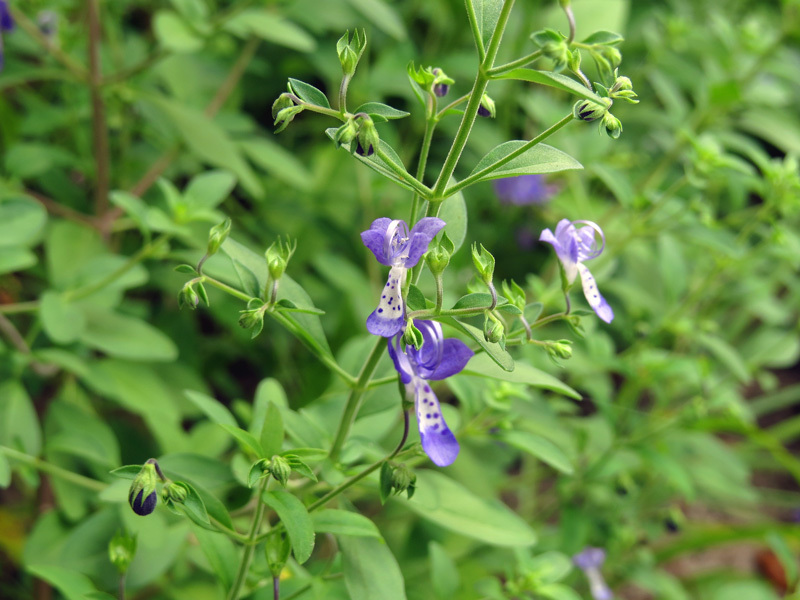 Blue curls (Trichostema dichotomum) is flowering profusely in the pollinator planting near the Oslo Riverfront Conservation Area Volunteer Office at the (Pelican Island) Audubon House. 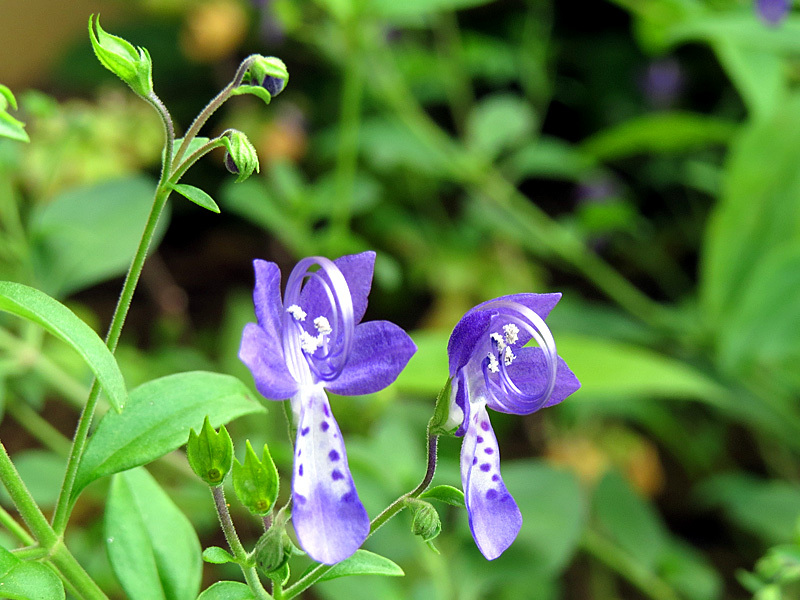 A member of the mint family (Laminaaceae), blue curls ranges as far north as the southern proveniences of Canada. 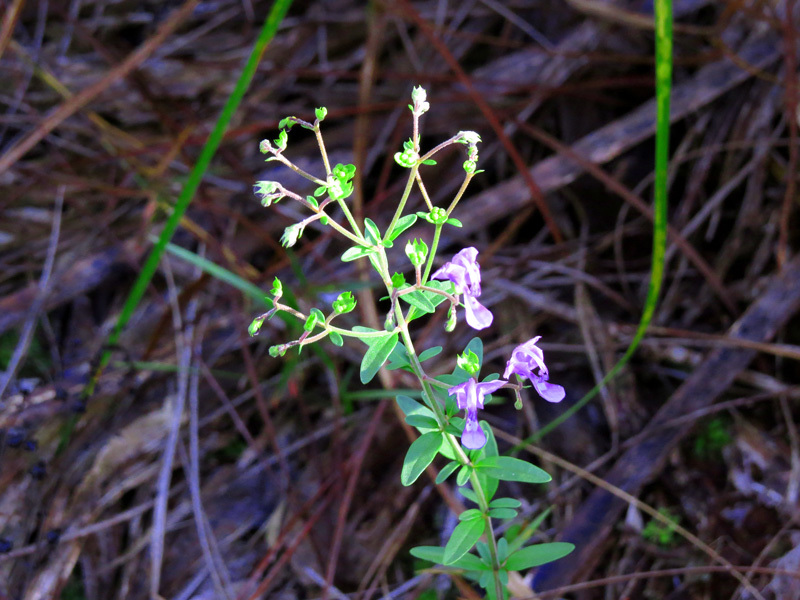 It is found throughout Florida in well-drained soils including sand dunes and scrubs and can be prolific in disturbed places. 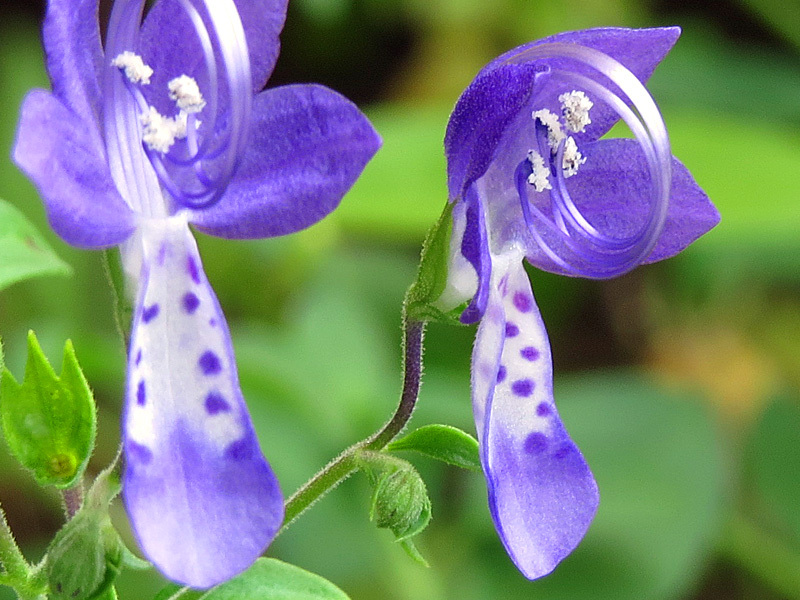 This annual also is known as forked blue curls for its forked reproductive parts (stamens and styles). Flowering and seeding is profuse. Flowers only last for one day, and sometimes only the early part of the day in the heat of summer, but more flowers are set to come the next day. 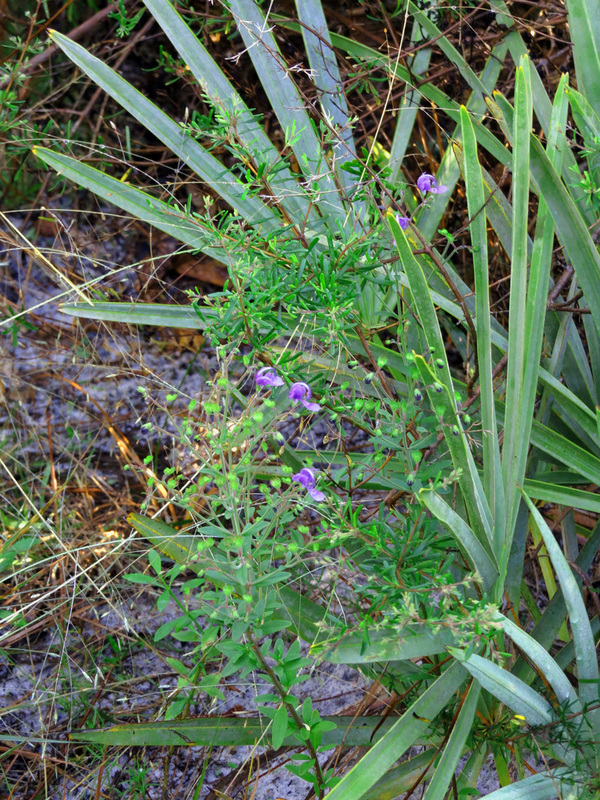 Blue curls also is in flower along the trail edges of the scrub at the adjacent Oslo Riverfront Conservation Area, where it color-ccordinates admirably with the silver-blue saw palmetto (Serenoa repens).